2-piece set, 5.5"W resin and stone mix, book holders. 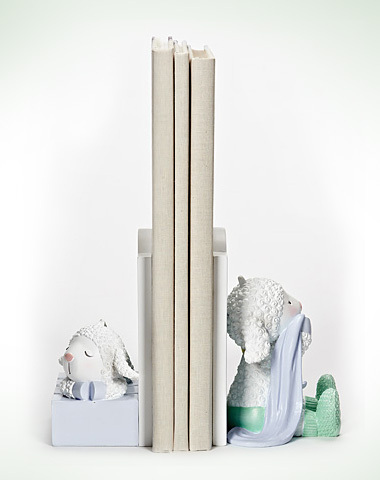 This adorable 2-piece bookend set featuring little Lamie Pie can hold your favorite baby story books. A beautiful addition to add to your child's room decor.